Syrian regime reportedly to retake control of area bordering Israel in Golan, following surrender negotiated by Russia. 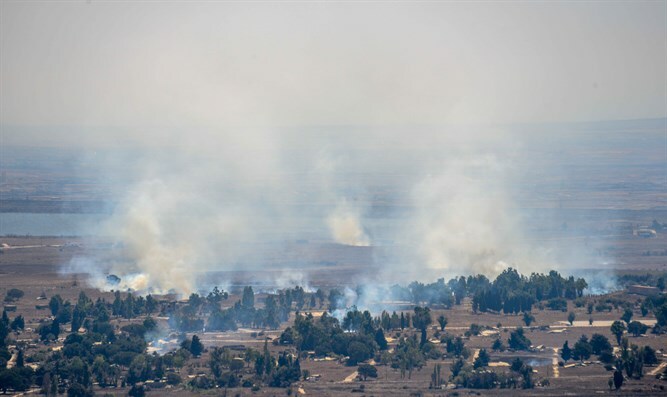 Syrian rebels have agreed with government backer Russia to the negotiated surrender of a sensitive southwestern zone bordering Israel in the Golan Heights, a monitor said Thursday. Quneitra is a thin, crescent-shaped province that lies along the buffer zone with the Israeli Golan to the west. The deal, according to the Observatory, does not include Hayat Tahrir al-Sham, a jihadist-led alliance that holds territory straddling the provinces of Quneitra and neighboring Daraa.